Dive-Careers.com on ScubaTribe - ratings and reviews for scuba divers. Worldwide dive professional training and job placement. 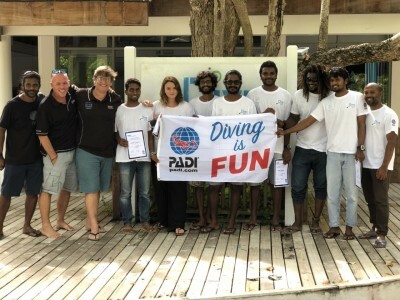 PADI IDC (Instructor Development Course), Divemaster and Instructor internships and other dive professional courses conducted globally in many languages. 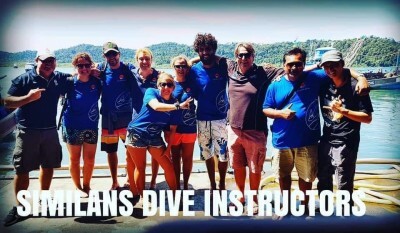 Courses conducted by Platinum Course Director Mark Soworka and his team of highly qualified instructors and PADI Course Directors. Real job opportunities as a professional diving instructor. 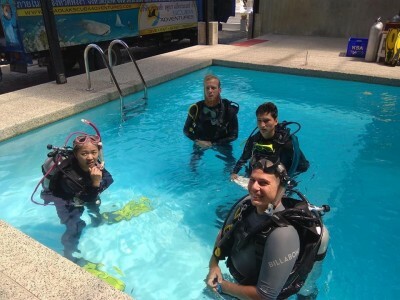 Worldwide professional dive training programs that increase career opportunities for our dive professional candidates. 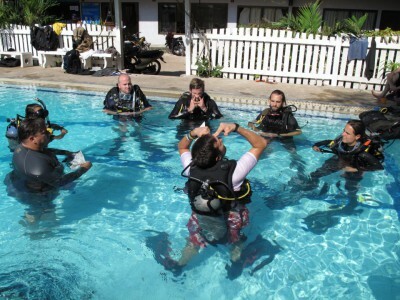 PADI Divemaster and Dive Instructor programs conducted throughout South East Asia. Dive professional internships that really do benefit from our years of experience and network throughout the dive industry, giving you genuine career opportunities in a great industry. 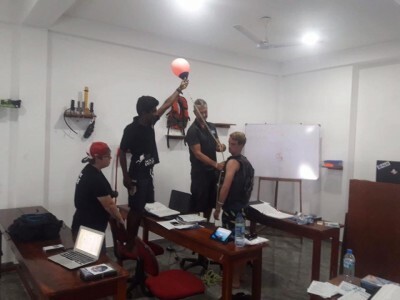 We run training programs on Koh Tao, Thailand, Bohol and Malapascua, Philippines and Sri Lanka. This gives you genuine dive job opportunities. Courses conducted in English, German, French, Chinese, Spanish, Dutch and Italian. Contact us for your start in the dive industry. Dive-Careers.com will soon be in touch. Buddha View Dive Resort - 50 reviews. Poseidon Diving - 9 reviews. Temple Adventures - 6 reviews. Sea Spirit -Dive-Careers Europe - 12 reviews. Deep Blue Seafari - 7 reviews. South Africa Pro Dive - 3 reviews. Poseidon Diving - 4 reviews. Dive Bandos - 17 reviews. Reggae Divers - 2 reviews. Cape Town Dive Center - 6 reviews. Dive india - 3 reviews. 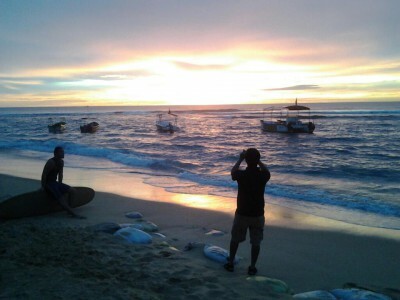 Legend Diving, Nusa Lembongan, Bali - 3 reviews. 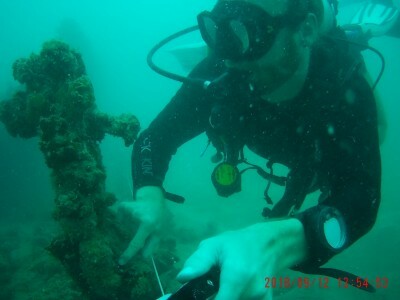 Khao Lak Scuba Adventures, Thailand - 11 reviews. Sierra Madre Divers Bohol - 2 reviews. I have been wanting to do my IDC since 2015. I have been looking around, asking around, talk to lots of instructor friends, msg lots of course directors and contacted lots of dive centre. Finally, this year i have come across the right time, place, style & of course the CD - Mark, for me to do it. I have been looking for something where i don't just learn to be an instructor, but allow me to have work experience as one. 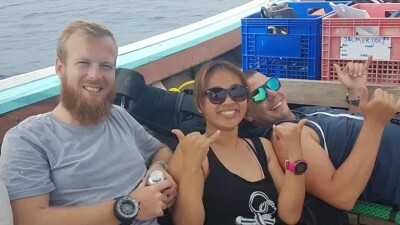 I really like liveaboard, and come across dive-careers partner with Khao Lak Scuba Adventures (KSA), have liveaboard internship right after the course. Most of all, i also want to be taught by an experience course director that don't look at me as a "product"/"number". I want a mentor/friend where someone that still have great passion in diving and can teach/share lots about this industry. And I am so please come across Mark where he is such a chill/easy-going, experienced, friendly, informative, fun and respectful course director in the diving industry. I personally do IDC not just to become an instructor, but is a personal development course that i would like to take, to challenge myself and overcome some fears that i had experienced in life. I definitely achieved that by the end of the course, where it develops my confidence, i able to stand up to teach/ speak in public, i able to share my passions and overcome some past condemnation/negatives that ppl used to title me. I really like the creative, gentle, independent yet informative approach that Mark used/taught us in the class. He makes it stress-free and we able to learn it in a comfortable plus creative (own way), where helps me to complete my IDC. By the time my IE arrived, i managed to face/do it confidently or easily. 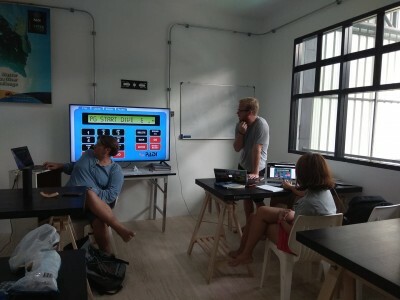 Not only that, when i got the chance to teach during my internship on the liveabord, i realise how well i can teach and shared my passion/experience with my students. I really thankful to my course director- Mark, his son/assistant - Aaron, my 2 amazing yet annoying classmates - Jelmer & Kris and some instructors at KSA that have helped me throughout the whole IDC journey. Thanks for all the support, encouragements, the believe/trust/confidences that i do not have :) and the patience towards me. Really feel the amazing team spirits and how much ppl cares for your success! This IDC experience definitely have been one of the most remarkable event of my life! I met so many amazing ppl and make great friendship as well. Great IDC with great course director!! Really great IDC! The theorical and the practical part were very well prepared, I learned a lot into a very nice context, having fun at the same time. I felt ready when we went to take the exam! 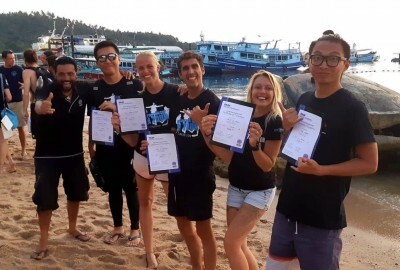 Welcome to a wonderful new career as a dive instructor Christophe and thanks for the excellent review of your recent IDC with Platinum Course Director Shayne Ng and Legend Diving on Nusa Lembongan, Bali. 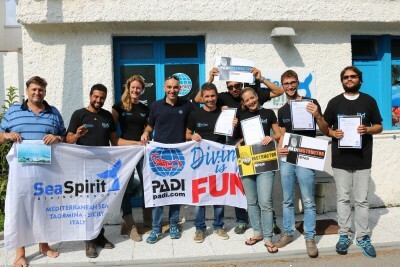 A great team, dive staff and centre, and country to learn to become a dive professional! Ben was a great course director. 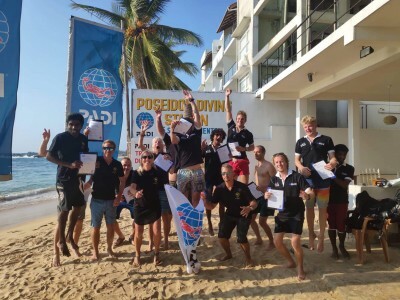 Thanks Erika Sullivan for your excellent review of your PADI Staff Instructor course with Course Director Ben Meerhaeghe at Poseidon Diving Sri lanka. Glad you had such a great time. It is a wonderful country. 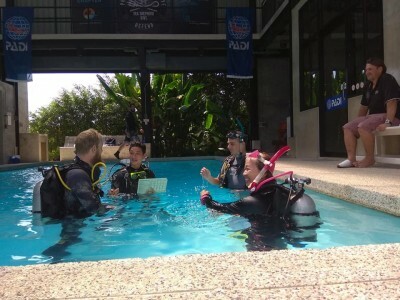 On March 21st myself and two other candidates started our Instructor Development Course here in Khao Lak, Thailand. 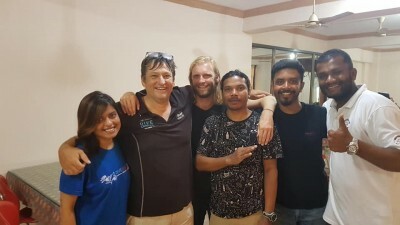 I choose to do my IDC with Dive Careers here at Khao Lak Scuba Adventures because some of my friends recommended me to do the course with Mark. I’m glad I made this choice, Mark is a great guy with an unbelievable knowledge and experience in scuba diving. Mark added a lot of extras in the course and prepared us way beyond what we needed to know for the exams. Plus we got access to loads of materials that he put together over the years which helped me a lot with the preparation. I guess I was also lucky to be in such a small group, just three candidates. Therefore the atmosphere was very relaxed and there was always a lot of time to discuss things. Any questions we had during the course, we could always reach out to him. 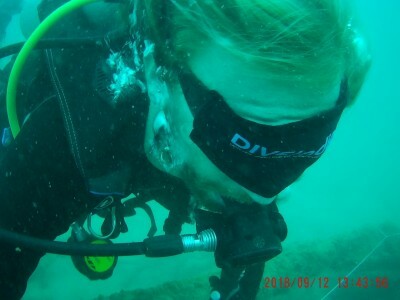 I had a really good few weeks here in Khao Lak, I’m now working on the liveaboards here for a month (which was also part of the IDC package) and I can finally call myself Open Water Scuba Instructor! Thanks Jelmer Sanders​ for the great review and happy you had such a good time during the Khao Lak IDC and are enjoying a bit of peace and quiet now. Have a great time workign on the liveaboards for the rest of the season. Best in the world !!!!!!!!! This was a fantastic program in a beautiful place with an awesome instructor. Definitely encourage those looking to continue with their dive education to experience the instructor course in Bohol with Bas. Welcome to a great new career as a dive instructor. Glad you had such a good time on your recent IDC with Sierra Madre and Platinum Course Director Bas in Bohol, Philippines and thanks for the review. 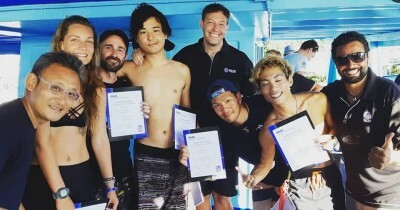 I just finished my IDC with Dive Careers and Legend Diving. 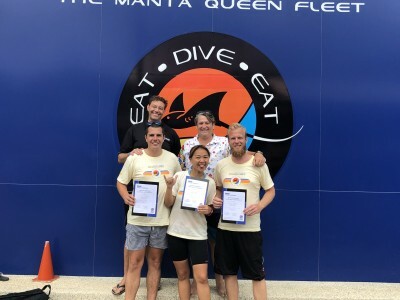 With the help of our course director Shayne from Dive Careers and Frank our Staff Instructor our whole Class completed the IDC with amazing scores. So thank you very much Shayne and Frank for everything. 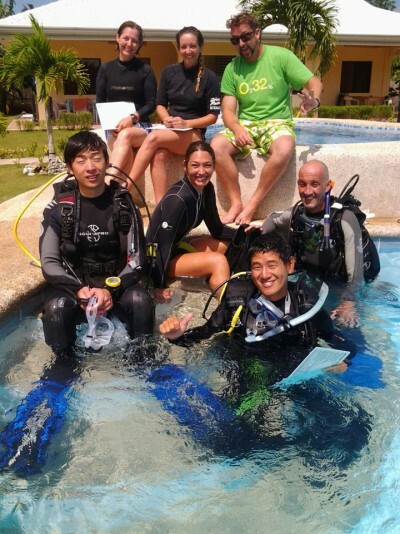 I would really recommend to start your IDC with Dive Careers. 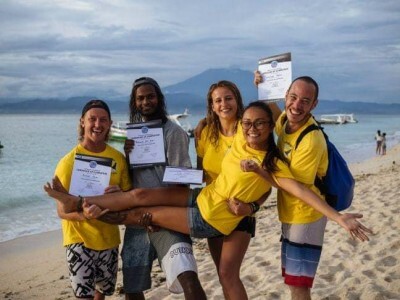 Great that you had such a fantastic time Lioba on your recent IDC with Platinum Course Director Shayne and Legend Diving in Nusa lembongan Bali. Welcome to a wonderful new career. 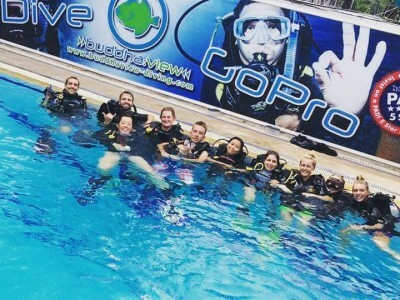 A very professional and fun course, dive careers gave us all the skills we needed to pass the instructor exam with lots of laughs along the way. I would highly recommend doing your IDC with these guys the IE was easy after training with Carmelo. 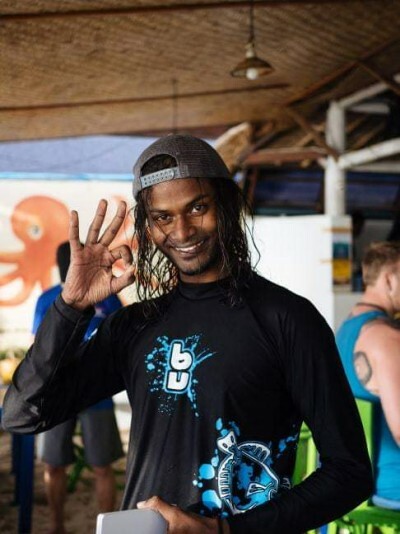 He taught us everything we needed to pass and a whole lot more he absolutely loves diving and is a great teacher. 10/10!!! Thanks Jace. 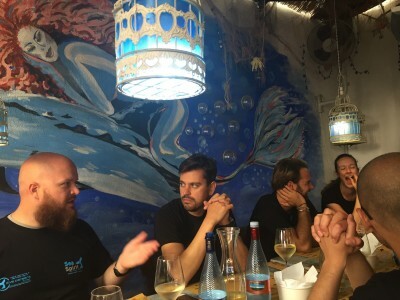 Great review for Carmelo for his last IDC on Koh Tao for the season and now he is back in Sicily getting ready with apperitivo for the next idc there april 28. Welcome to a wonderful new career as a dive instructor. 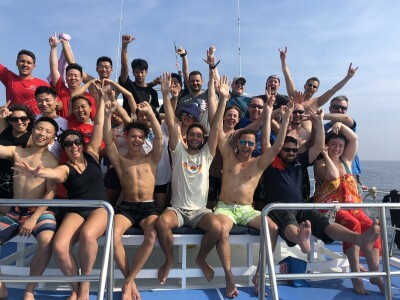 IDC March 2019 Bohol, Philippines - A great lifetime experience! After multiple weeks of research, comparison and thinking about where to go, we followed the recommendations of several friends. The decision to do our IDC with dive-careers.com at Sierra Madre Divers in Bohol, Philippines, turned out to be a great choice. Our Course Director was Bas Van Riemsdijk – he is a very likeable, handsome and very knowledgeable guy with great teaching and motivation skills. 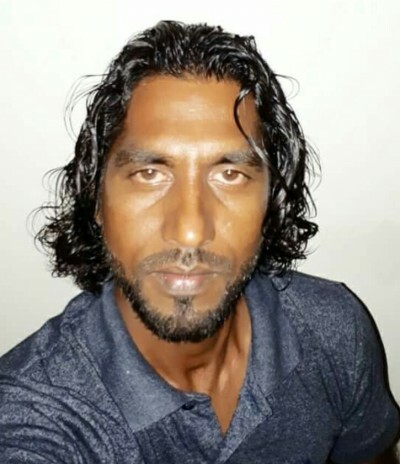 Throughout his professional and natural style, he also provided us with lots of fun and laughter. His English is clear and easy to understand, which is very important for non-native-speakers like we are! Despite all hard work he made the IDC feel like fun! And after all the thorough preparation, in the end the IE was a walk in the park! Sierra Madre Divers catched us from the first moment with their big heart and their commitment for the cats and dogs of Alona Beach! When we arrived there, we were welcomed in a very familiar atmosphere, they supported us in our search for a suitable accommodation, and were very helpful with really everything before, throughout and even after the IDC! The classrooms have air condition, and coffee, tea, water and cookies are available for free – for lunch we had e.g. very tasty noodles or dumplings. Furthermore there is a very big and deep swimming pool right next to the classrooms, which is ideal for training/polishing your demonstration skills. And the sandy shallow bottoms of paradisiac Alona Beach offer perfect conditions for teaching/demonstrating as well. I had a great two weeks with Carmelo and our group for the IDC. There was a lot of work but we were definitely thoroughly prepared for the day of the IE. We had lots of laughter during the course and I learned a lot, especially brushing up on my theory for the exam with the help from Carmelo, Cilla, Julian and of course the others in my group too. Congratulations Stacey on becoming a dive instructor. Welcome to a long and prosperous career. 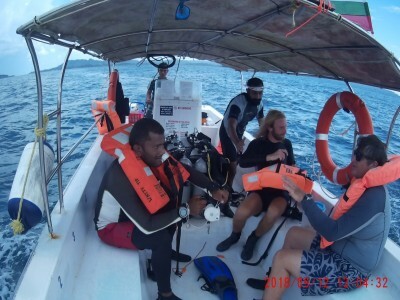 Thanks for the excellent review of your recent IDC on Koh Tao with Carmelo. It can be very stressful to choose a place and an organization to do your IDC, so many things are involved (future jobs, lot of money, course in a different language than mother tongue...). All this stress was removed with Mark and the KSA's staff taking care of me and the 7 other IDC students! Wonderful experience, I think I can speak for the other guys when I say that we felt ready and relaxed when came the IE thanks to all the training we had (for the theory and the in-water exams). Everything is under control and all we have to do is work hard and stay motivated! 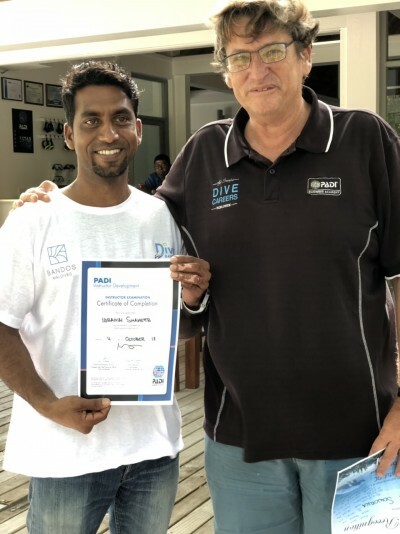 Speaking just for my case, coming from a different dive organization than PADI was a challenge, but I received the help I needed to pass everything with success. Great review Salome, thanks. Glad you found it such a smooth transition from the French Federation to PADI. 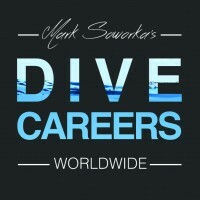 Enjoy a great career as a dive instructor traveling the world. Choosing to do my IDC with Dive-Careers was a great decision that I will remember for the rest of my life. I came all the way from South Africa because it's was an amazing packing that I just couldn't resist. Tropical waters, Payed work on a liveaboard and being taught by Mark Soworka. Thanks for the great review Robert. We have met up in Koh Tao, Cape Town, Khao Lak, so I am sure will see each other again soon. Probably in Coconuts in a few days. Enjoy work on the live-aboards. s amazing. training is good, trip also good. especially the course director, awesome. knowledgeable, friendly, professional, positive. learn a lot from him. it is a nice experience in my life . Thanks Dan and welcom to an excellent career as a dive instructor. See you in a few days in Khao Lak if you are on land for a break. Was a great learning experience from start to finish. I can see why Mark is known so well worldwide, he has a very good program that you get the most for your money. Had lots of fun on the course and made good friends too. Enjoying the liveaboard internship alot!! Thank you Christiaan for the great review of your IDC. 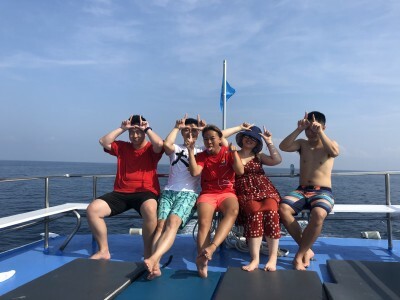 Excellent that you had such a good time and enjoying workign the live-aboards now. see you next week when I am back for the next IDC. Great program! I am very much enjoying the live-aboard internship. Mark knows his stuff! The training he offered went well beyond the IDC. Looking forward very much to this budding career and to taking advantage of the vast Dive Careers network! Thank you Mark! Thank you Dive Careers! 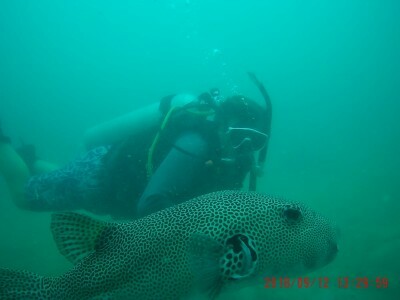 Thank you Khao Lak Scuba Adventures! Thanks to dive-careers and CD Carmelo Sgroi the IE went smooth as silk. I felt really prepared for the exams and the in-water presentations. 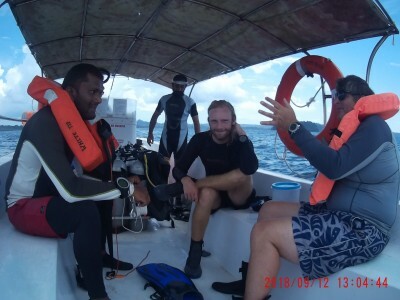 I can't recommend enough the IDC with dive-careers, their huge experience is a real asset for your development as instructor, before and after the IE. This course was awesome! It was filled with laughter, awesome company and some great teaching. Carmelo was a thorough instructor who was super helpful at all times and made sure that we were doing everything to the best standard, which meant that passing the IE felt easy! Everyone involved in the course was good fun, professional and made it an amazing course to be on. 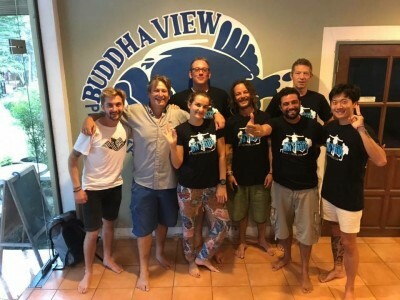 Thanks Soph Bray for the great review of your IDC with Carmelo Sgroi on Koh Tao. Great that you had such and excellent time and look forward to seeing you back on Koh Tao again soon. Learn IDC without needing to think about it! The Dive-careers IDC went like a dream and by the end all six applicants passed with relative ease. We were incredibly fortunate to be taught by Mark, his name is widely known world wide and it was clear to see why. The layout was planned brilliantly and the resources available made the eventual IE somewhat easier than expected. Mark is a personable and charismatic guy, that teaches in a way it doesn't feel like a class or learning. The support throughout from him and the other IDC staff was great and it's a support I feel I will continue to have throughout my dive career. 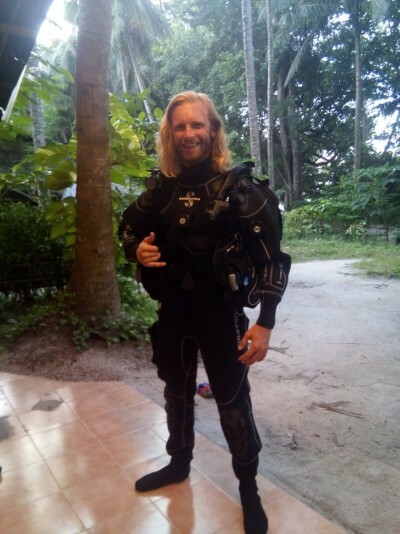 Thanks Ryan for the great review of your Khaolak PADI Instructor course and welcome to your new career on the Khaolak Scuba Adventures live-aboard fleet. Hope to see you on the IE party this 28th. My IDC was a mix of hard work, fun, diving and good relationships, with I believe are the core of the diving industry. Apart from a great course director, he is also friend who always helps (even after the IDC/IE) and very professional to work with.I would highly recommend doing your IDC with Mark Soworka, extremely knowledgeable and the best at transferring it, wealth of experience and leadership inside this person guarantees the development of real professionals. 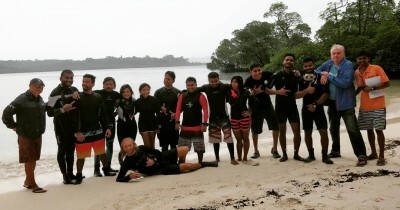 Thanks Paul Northerndivers Cunningham for the great review of your IDC in Sri Lanka. Getting closer to our next Sri Lanka IDC with Poseidon Diving this March 24th. A great place to start the path towards a diving career. 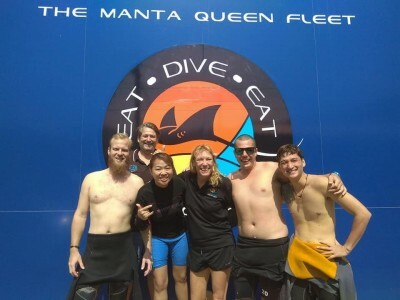 Could not have asked for a better preparing IDC than with dive-careers! Looking back, at the two IDC-weeks with dive-careers a variety of good memories comes instantly up. During those two weeks my schedule was filled with a good mix of theory lessons and challenging skill practices. Thanks Julie Hollmig for the excellent review of your IDC with Carmelo Sgroi. Carmelo is getting ready for the next IDC on Koh Tao this March 5th. 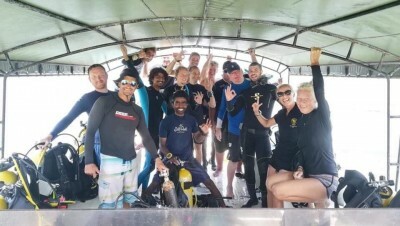 Wonderfull experience on Koh Tao with very profesionall team.Marie and Bass were the greatest.Mark Soworka made a divers paradise in Thailand. 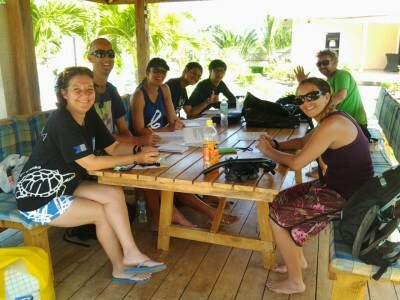 Thankyou Santiago for the great recollections of your divemaster training. Hope you make it back for instructor one day soon. I had an amazing time on my IDC. I had met Mark before to ask him for advise and found him an engaging, genuine and super knowledgeable person. He is always ready to answer all your questions and even send me very useful e-learning materials on forehand. 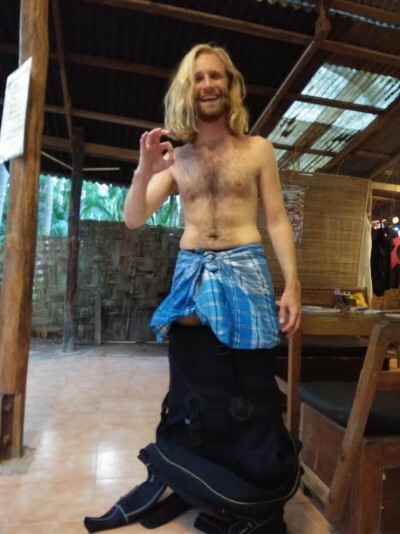 When he started an IDC in Khao Lak which included an internship on a liveaboard I did not hesitate to join! The program was super well organized and the team of professionals was excellent and professional and made the whole experience very enjoyable. They also showed a lot of patience and support where needed and never stopped sharing their great stories. They created an environment for us - a group of 6 candidates - to grow together and actually become a team that went in the Instructor Exam self-assured and we all passed! And that is just beautiful! Highly recommended especially if you want to get work-experience on a liveaboard after your IDC!! So now you are an instructor Susanne. Congratulations. You will have a great career. Enjoy. Thanks for the wonderful review of your recent IDC in Khao Lak and enjoy the next month on the Similan liveaboards.